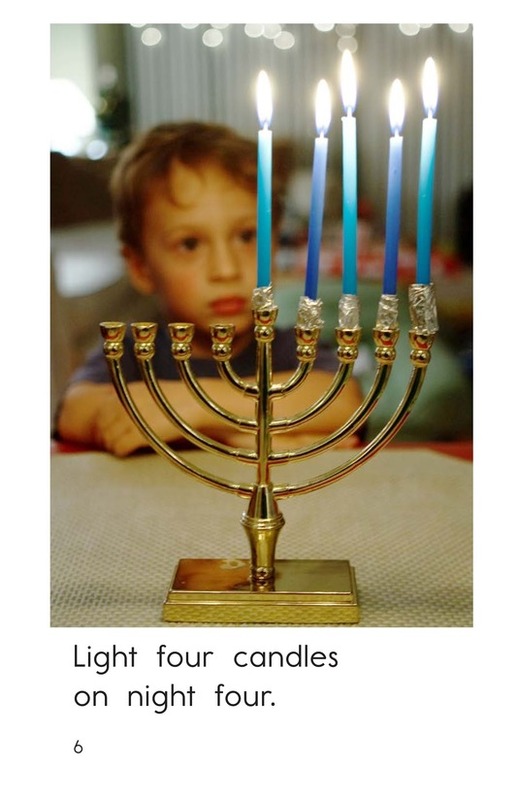 The lighting of the Hanukkah candles is a specific process that takes place during the eight nights of Hanukkah. 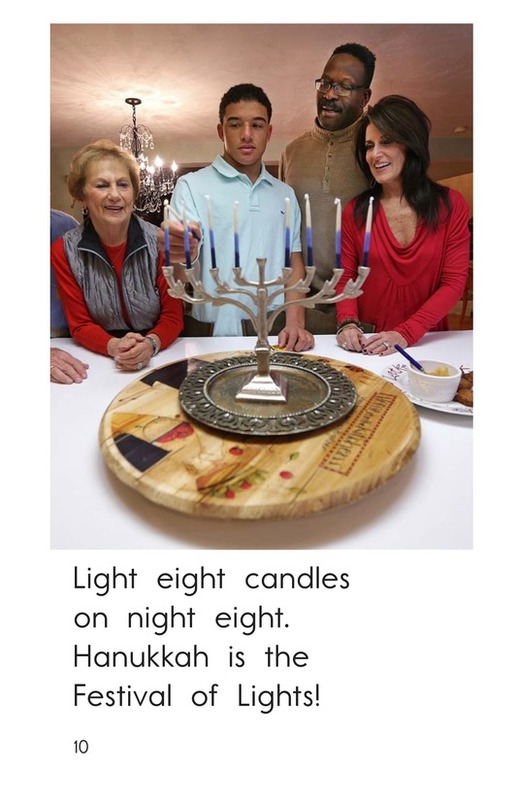 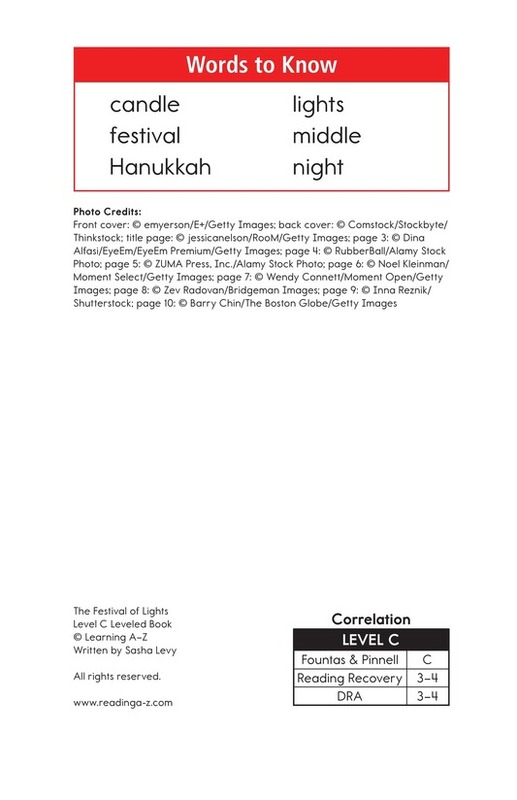 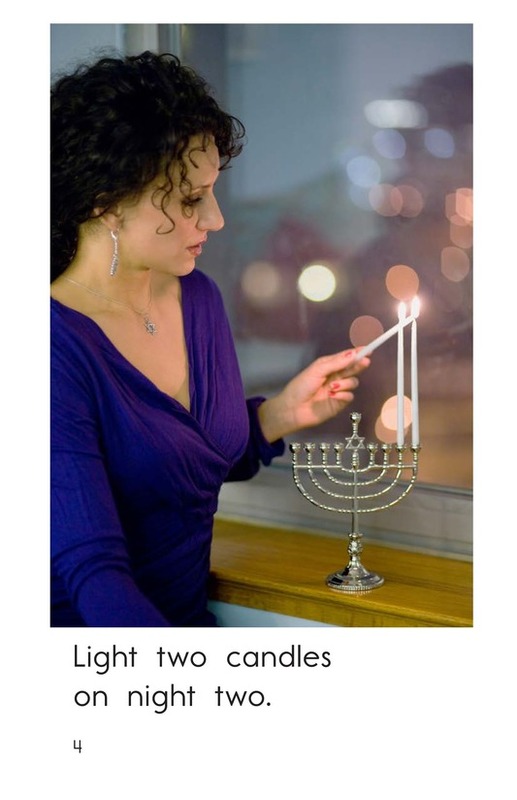 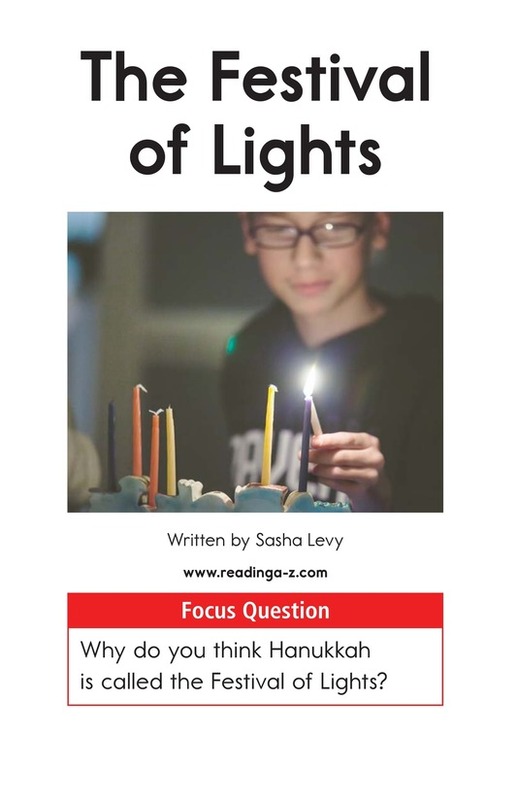 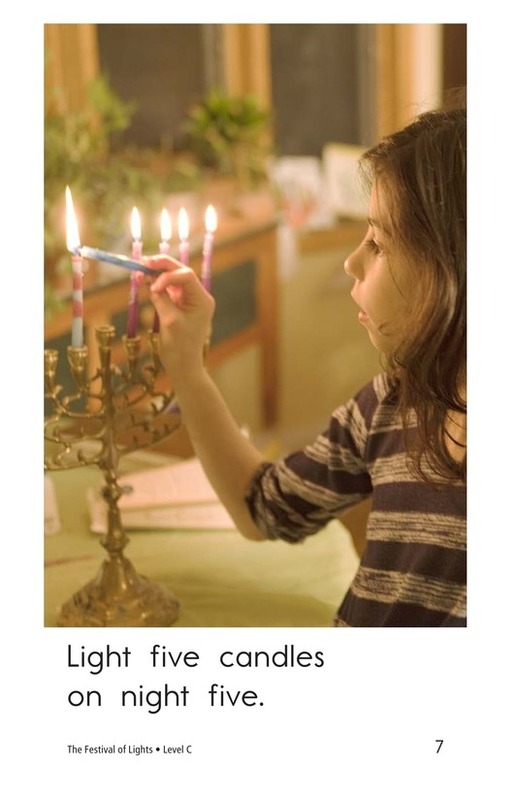 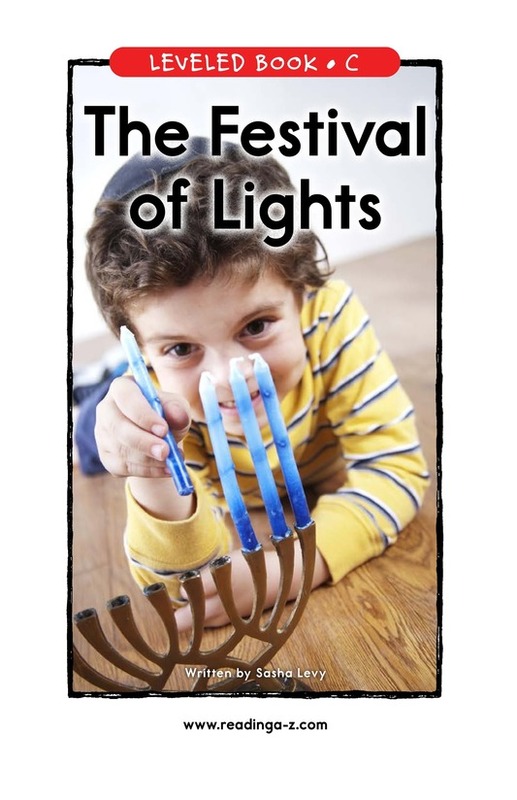 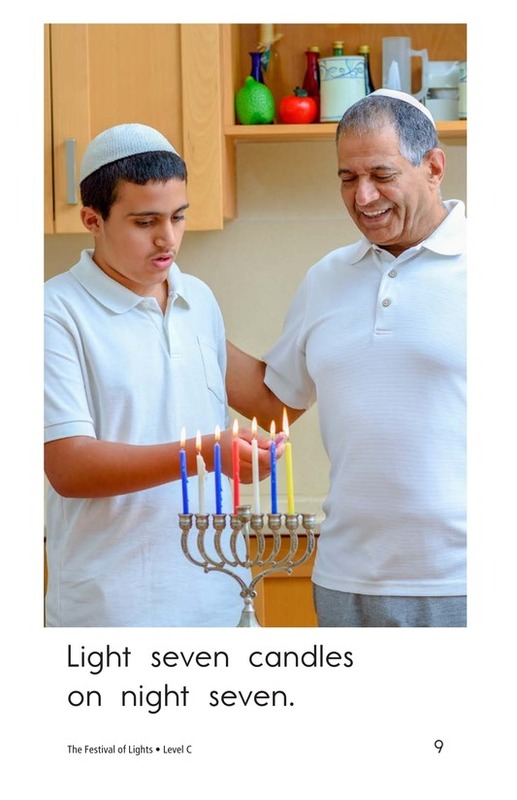 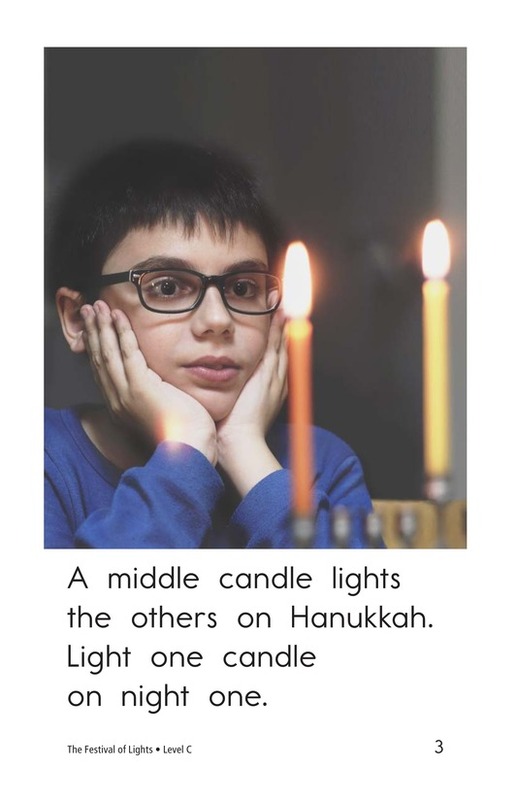 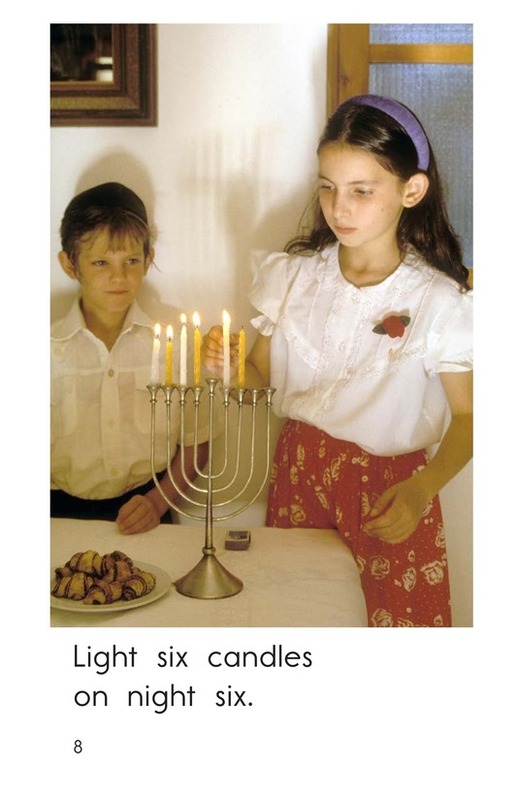 The Festival of Lights introduces readers to the celebration of Hanukkah by teaching them how many candles are lit on each night. 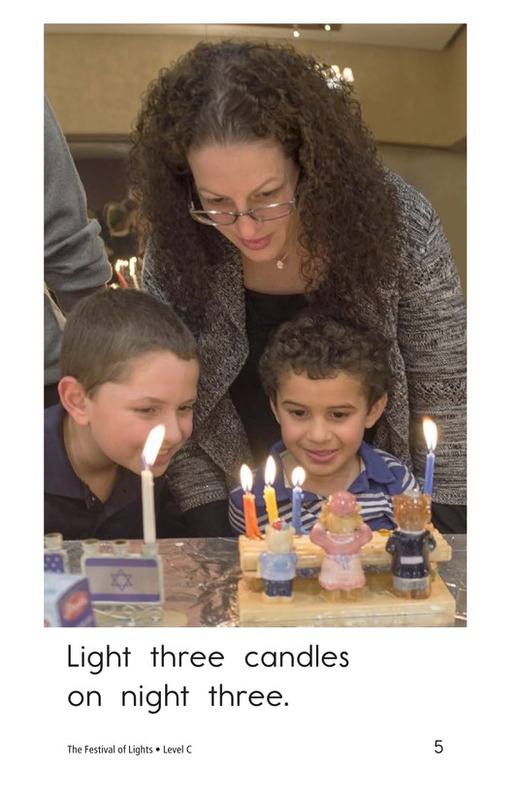 The book's descriptive photographs and repetitive sentence pattern support early emergent readers. 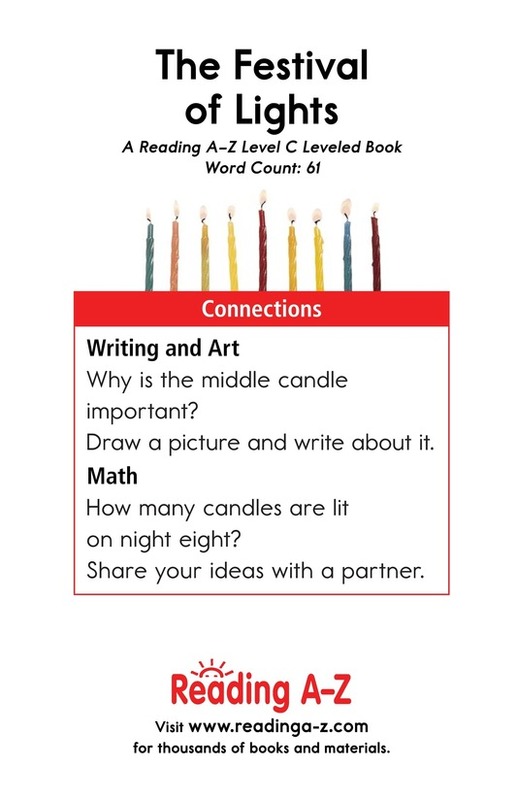 Students will also have the opportunity to determine the author's purpose for writing and to visualize to better understand what is read.